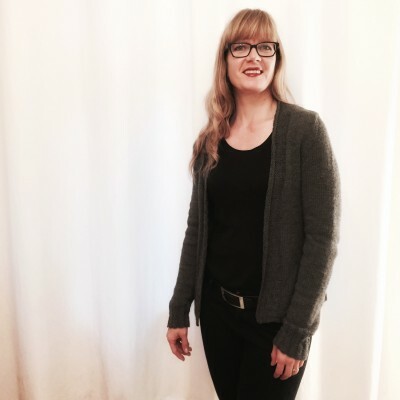 CustomFit – It takes sweater designer Amy Herzog’s extraordinary brain and experience and puts them at your disposal. I’ve been wanting to try it ever since it first launched, and I finally got around to it this fall. Your body measurements. Your gauge from your swatch. Your preferences for fit, ease, sleeve length, and more. In any of Amy’s interviews, she brings up the comfort and reliable fit of seamed sweaters with set-in sleeves. 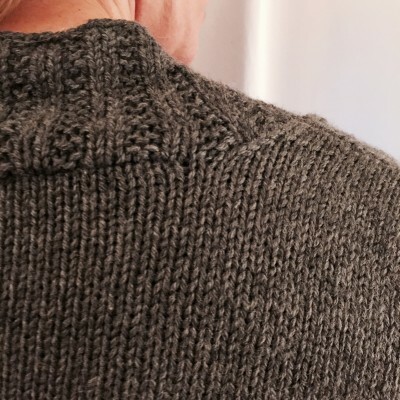 Since my very first sweater, I’ve only done one other seamed sweater, and that was for my son. I was starting to wonder if she was right. 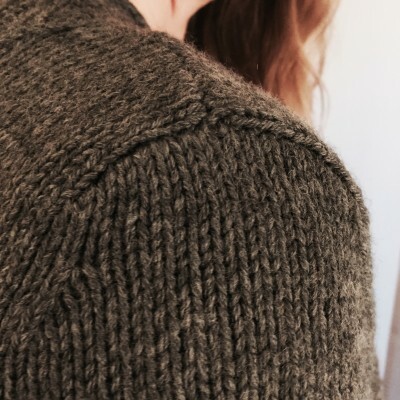 I was tired of knitting wonderful sweaters but preferring the feel of my store-bought sweaters. I wanted to actually wear my handknits as often as I dreamed I would. 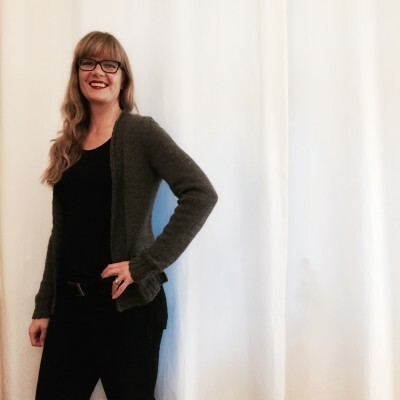 One of the things I find intimidating about CustomFit is the sheer variety of combinations you can choose for yourself, and for the pressure for this to be the perfect sweater. Faced with the ability to knit anything, I knit nothing. Analysis paralysis in action. I was really happy to see Amy start to release collections – small sets of patterns that match the mood of the style and season. 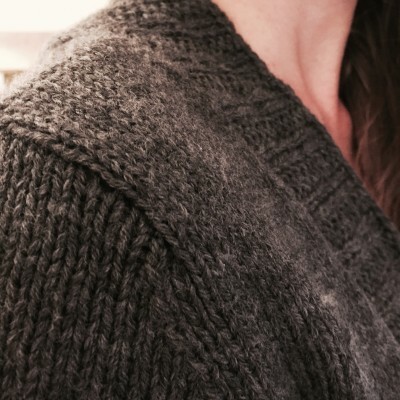 The pattern Reservoir made me realize that what I really wanted was a charcoal, open-front cardigan, the kind I’m constantly borrowing from my daughter’s closet. I changed the 2×2 ribbin to garter rib. I love how well-mannered it is: the way it lays there so tidy and textured. The yarn is Knit Picks Stroll Sport, now discontinued. I’m thrilled. It fits so well. It feels so good. I wear it all the time. It doesn’t slide off my shoulders. It goes with everything and works so well with my style. I also enjoyed the process of having a pattern with just my numbers on it. Cast on 99 stitches, not 80 (88, 99, 111) stitches. The schematic was for my blocking measurements. So very slick and simple. I’ll definitely be using CustomFit again. I do want to try Elizabeth Doherty’s method in the new Set in Sleeves, From the Top. I’m curious to see if it’s the sleeve shape alone or the seaming as well that makes this so comfortable. The set of the neck and sleeves looks wonderful.